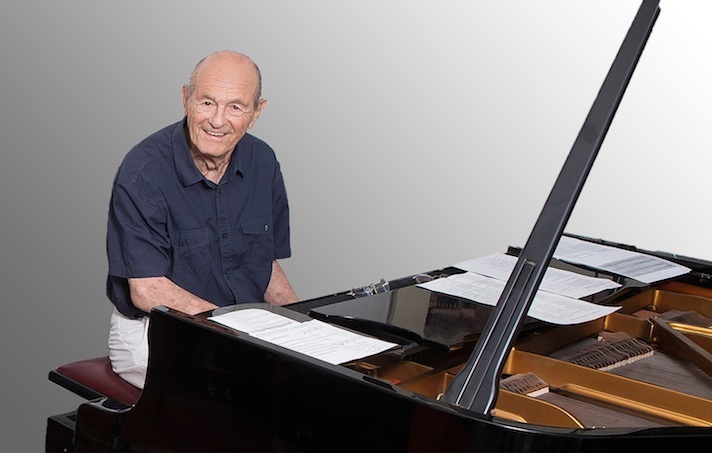 After the success of his first “Schlager” album, “Uber die Liebe” (“About love”), the 94-year-old composer, musician and singer Klaus Wusthoff undertakes another musical time travel and presents 21 new interpretations of well-known melodies from the 20s to 50s on “Uber die Liebe 2” (“About love 2”). “This man is a real phenomenon,” Tagesspiegel wrote about the Berliner, born in 1922, and marked him and his album as a “pure source of joie de vivre”. Those simple, sensitive arrangements are again musically sparkling because they always carry the essentials. Smiling and mischievously this record reflects the whole variety of German light music classics. Funny and frivolous songs like “Veronika, der Lenz ist da” (“Veronika, spring has come”) alternate with thoughtful or melancholic pieces like “Liebe war es nie” (“It never was love”) or “Irgendwo auf der Welt gibt’s ein kleines bisschen Gluck” (“Somewhere in the world there is a little bit of happiness”) by the German-Jewish author and songwriter Robert Gilbert in congenial collaboration with the composer Werner Richard Heymann. Klaus Wusthoff, who today is one of the last musically active witnesses of this cultural era, is, in his inimitable way, a master in capturing the inner wealth of the soundtracks of German movies and carrying them on to new generations of listeners.